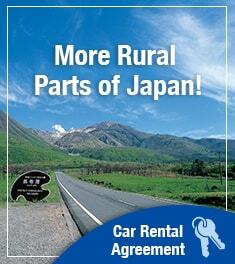 Buying and using a Japan Rail Pass is simple and easy. Order online via our website for our lowest price! Once you have completed your order with us, we will send you a confirmation email with all the details of your order. We then issue a Japan Rail Pass Exchange Voucher. We can either post the JR Pass exchange order to you, or you can collect from our London office. 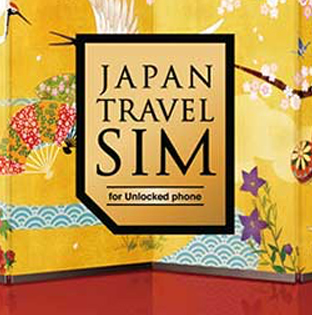 Once we issue you with a JR Pass exchange order, it can be exchanged at any major Japan Rail stations for your official Japan Rail Pass, provided you have ‘visitor visa’ stamped in your passport. Depending on the ticket purchased, the JR pass holder can travel as much as they wish for 7, 14 or 21 consecutive days. 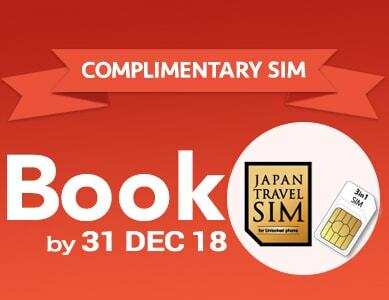 Once you have exchanged your voucher for the actual JR pass, you can begin your unlimited and convenient rail travel across Japan with maximum flexibility! Please be aware that JR Pass exchange orders are valid for 90 days from the date of issue, therefore we recommend you place your order no more than 90 days prior to your date of travel. The Japan Rail Pass comes in different varieties depending on the region you plan to use it in. The main Japan Rail Pass is most popular pass and it’s valid throughout Japan, but if you visit only one region in Japan, a regional JR pass may offer a better option. Check the list to see all the different regions that the Japan Rail Pass is available for and find out which pass works best for your travel plan! If you haven't found what you are looking for, please contact us. 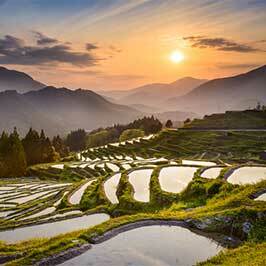 Why buy a Japan Rail Pass? The cost of a 7-Day Ordinary Pass can actually be cheaper than a return ticket from Tokyo to Osaka when purchased as two single tickets. Therefore, any subsequent trips you make within the validity of your Pass cost absolutely nothing! The main reason to buy the JR Pass is for the excellent discounts it provides for those taking the impressive and world-famous Shinkansen (Bullet Trains) all over Japan. The savings that can be made using a JR Pass compared with buying single tickets are phenomenal and with the exchange rate conversion updated weekly, you are sure to get the best deal available anywhere. You can even use it on the Narita Express and other airport lines to / from the city such as Haneda Airport and Osaka Kansai Airport. Travel anytime/anywhere*. You are not constrained to travel on specific train and time, as in the case of a single journey ticket. The JR Pass is available in a selection of 7, 14 and 21 day validity periods to cover varied travel durations. There’s no need to queue every time you need to travel. Once your JR Pass is validated, you can go straight to the platform and board the un-reserved carriage. Another fantastic benefit of buying a JR Pass is that once you validate a Japan Rail Pass you can choose your own seating arrangements for free - a privilege that can become costly on normal tickets. You can reserve a seat in advance at no extra cost. 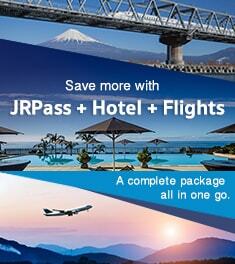 Just visit any JR reservation office at the station with your JR Pass. Does the Japan Rail Pass cover the subway / metro in Japan? No, the Japan Rail Pass does not cover any of the subway or metro networks in Japan – you can use Japan Rail (JR) operated trains only. Is it worth it? Although the initial price may seem somewhat daunting, the cost benefit of purchasing a Japan Rail Pass is excellent. The Japan Rail Pass is essentially a discounted ticket as the cost of just a single Bullet Train journey from Tokyo to Kyoto can cost up to half the price of a whole week-long JR Pass! A Japan Rail Pass also allows the holder to travel on all Japan Rail operated trains both in cities and across the entire country. 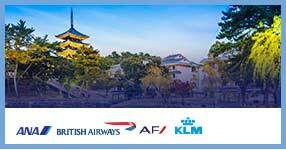 With the opportunity of riding a selection of buses and even a ferry that takes you to the exclusive Miyajima Island. The cost of buying single tickets and the extra fees for reserving seats can really add up, whereas with the JR Pass you have unlimited use of Japan Rail operated trains and you can make your seat reservations free of charge! Where to exchange the Japan rail Pass? Please check the exchange offices . 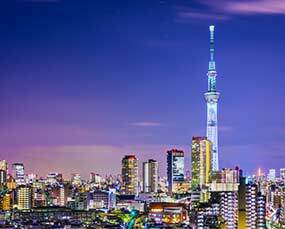 Can I use my Japan Rail Pass in Tokyo? Yes, you can! Using the JR Pass you can ride the circular JR Yamanote line that goes around Tokyo. The JR Yamanote line stops at several major stations including: Tokyo, Shinjuku, Shibuya, Shinagawa and Ueno. The JR Pass is also valid for use of the Chuo Sobu line that operates through Tokyo from East to West. You can also use the JR Pass to ride the Tokyo Monorail that conveniently stops at Tokyo Haneda Airport. At major stations, especially larger ones, you will find information in English. Station names and stops are also translated so there's very little chance of missing your stop or taking the wrong direction. The announcements on the Shinkansen (Bullet Trains) will be in both Japanese and English. Kiosks are small convenience stores on the train platform and within the stations where you can buy basic travel necessities – snacks, drinks, newspapers and magazines, and even some toiletries! How do I use ticket machines in Japan? Ticket machines in Japan are very easy to use! Especially as they have the option to select English language instructions. The ticket machines are easy to spot as they are usually lined up next to each other beneath a big map. The station names on the map are almost always written in both English and Japanese at major stations. There will be a clear mark to indicate which station you are currently at. The price of a ticket to each destination is written by the name of the station. Insert the amount of money into the machine, and then select the correct amount for the station you wish to go to. How do I use coin lockers in Japan? Coin lockers are a handy way to store your luggage at almost any major train station in Japan. Some tourist attractions also provide coin locker storage; however, the variety of sizes may be limited. The cost of coin lockers is based on calendar days (midnight to midnight). Coin lockers usually come in 3 different sizes: small, medium and large. Coin lockers are emptied after 3 days of use, although we suggest you check with the station staff exactly how long you can store your luggage there for before leaving them for more than a day. To use a coin locker, first find an empty locker. Then, put in your luggage and insert the necessary coins. Lockers usually accept 100 yen coins only. After inserting the coins, shut the door and turn the key. Recently, it has become possible to pay for locker storage using IC Cards such as PASMO and Suica. How can I find my seat? The service name, train number and destination will all be displayed in both Japanese and English letters at the station. There will usually be floor marking on the platform to let passengers know where the doors are located and what number carriage is going to stop at that particular spot. On local trains, seat reservations cannot be made, therefore all seats are first-come-first served. However, on limited express trains and reserved carriages on the Shinkansen (Bullet Train), your seat number and carriage will be written on your ticket. Is there space for lugagge? It’s recommended to pack lightly when travelling in Japan as the majority of trains do not have enough dedicated space for large suitcases / bags. There is very little room for larger luggage on long-distance trains such as Limited Express and Shinkansen (Bullet Trains). However, there are some exceptions such as airport lines which have designated space for suitcases. According to JR regulations, each passenger may bring up to two pieces of luggage onto trains, not including smaller bags. Each piece of luggage may not weight more than 30kg and its three dimensions (length, width and depth) may not add up to more than 250cm, while its length may not exceed 200cm. 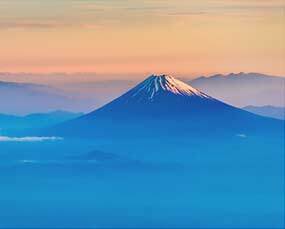 How can I see Mt.Fuji? From the train: Ride the Tokaido Shinkansen (Bullet Train) between Tokyo and Osaka to see a fantastic view of Mt.Fuji. This high-speed train runs south of Mt.Fuji which allows passengers to view both the mountain and surrounding fields together. If your train is departing from Tokyo Station, Mt.Fuji will appear on your right. 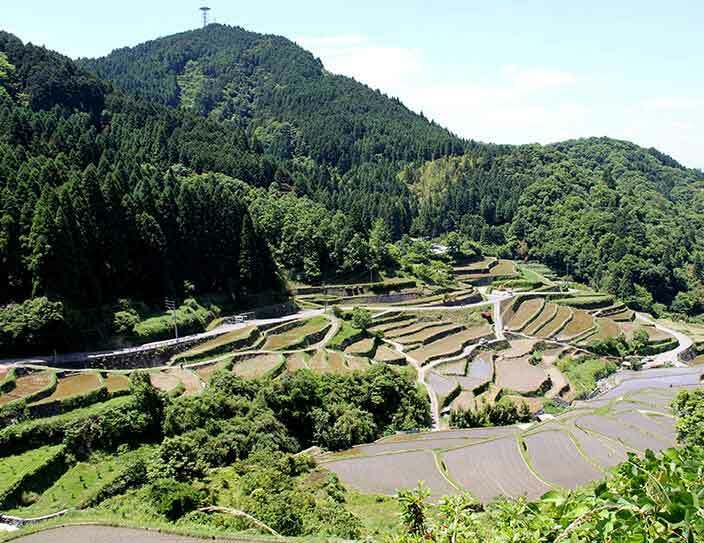 The best views can be seen around 40 – 45 minutes into the journey near Shin-Fuji Station. What is the difference between Ordinary and Green Car? There are two different classes of JR Pass: Ordinary and Green. The Ordinary Pass is valid for travel in Ordinary cars both reserved an unreserved. The 'Green Pass' is valid for travel in the ‘Green Car’, which is the equivalent of First Class, on Shinkansens and certain lines that provide a First Class Carriage. The benefits of the Green Class Japan Rail Pass are that they offer more comfort than Ordinary class seats, more space and usually quieter travel. The Green Class JR Pass is good value for the extra level of luxury and comfort offered. If you are planning to travel during peak/busy times, the Green Class Japan Rail Pass could be a good investment. This is due to each Green Car seat being larger, giving each passenger more space and Green Cars are generally less busy. Do Shinkansen / JR Trains have WiFi? Very few trian lines offer WiFi servcies in Japan. What are Nozomi and Mizuho trains? The main line which runs from Tokyo to Hakata in Kyushu is referred to as the JR Tokai Line and operates three classes of bullet train. These are divided up between the frequencies of stops at intervening stations. Nozomi stops at only the largest stations, Hikari at Large and medium and Kodama stops at all stations. Although the JR Pass is not valid for the Nozomi and Mizuho trains, you can use the Hikari and Kodama, Sakura, and Tsubame trains without limitations. The difference in journey time from Tokyo to Kyoto is about 20 minutes with the Nozomi taking 2 hours 20 minutes vs 2 hours 40 minutes for the Hikari. The Mizuho is a new limited-stop shinkansen service operating on the Kyuhu and Sanyo shinkansen lines between Shin-Ōsaka and Kagoshima in Japan. If you lose an item on a JR train in Japan, the chances of it getting back to you are very high! You can recover recently lost items at lost and found counters at Japan Rail (JR) Stations. Please provide as much detail about the lost item as possible to help the staff assist with your enquiry. Details such as: the date it was lost, the train name/number it was lost on, approximate arrival/departure times, seat number (if applicable), colour, and brand can all help to ensure the investigation has the best chance of success. 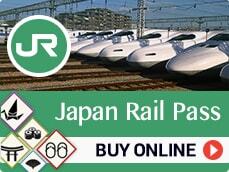 How to use the Japan Rail Pass?